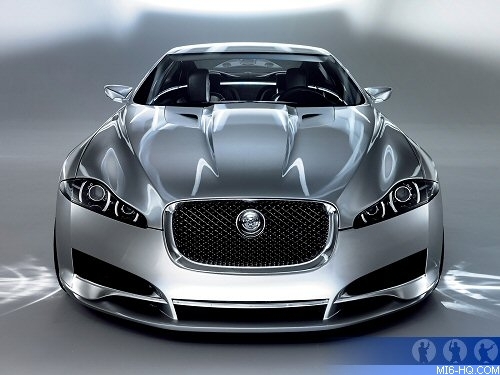 Jaguar For James Bond 22? No sooner had fans acclimatised to a new actor in James Bond's tuxedo, news is reaching MI6 that his equally famous car marque is about to undergo a change for the next film. Daniel Craig debuted as 007 in "Casino Royale" (2006) and co-starred with the new Aston Martin DBS, so new in fact that the car will only go in to production later this summer when 300 units will made (for those tycoons out there, the DBS will cost between £150,000 and £170,000 if you can make the shortlist). But the association with one of Britain's most famous car brands is unlikely to continue in the 22nd film in the series, which is due to start shooting in January 2008. US giant Ford Motor Company - who own Aston Martin - put the company up for sale late last year as part of an attempt to restructure its balance sheet. Ever since, the UK firm based in Gaydon and Newport Pagnell has attracted a long line of potential suitors. Industry watchers expect Ford to offload Aston Martin sometime in 2007 for over $1 billion. This leaves Q Branch in a quandary - which car do they issue 00-agents in 2008? Despite the planned Aston Martin sell-off, Ford will still have the exclusive rights for vehicle product placement in the 22nd film due to their $100m three-picture deal which began with "Die Another Day" in 2002. MI6 understands that Ford is lining up Jaguar as Bond's next marque. Despite the film being in the early stages of script development by regular scribes Neal Purvis and Robert Wade, MI6 has been tipped off that the new Jaguar XF model - also due out in 2008 - is being groomed for 007. 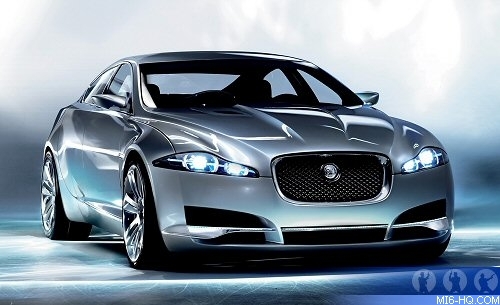 Jaguar recently unveiled the "C-XF" concept car at the press preview of the Detroit Motor Show this weekend. The C-XF is tipped as a preview to the new XF four-door sedan which is being shrouded in secrecy and will not be publicly unveiled until the Frankfurt auto show in September. "The Jaguar XF is a new sports saloon that will challenge people to think again about Jaguar as daring and different," commented Bibiana Boerio, managing director of Jaguar Cars. "Our new XK sports car has been very well-received and is enjoying great success. We are now moving on to the next stage of Jaguar's exciting new design era – and if you like the new XK, just wait until you see the new Jaguar XF!" The C-XF concept is powered by the same 400 horsepower 4.2 litre V8 as the current S-Type R. It delivers in excess of 420 horsepower and 368 pound-feet of torque and could, in theory, power the concept to 180 mph. Behind the engine is the same six-speed automatic transmission that partners with the V8 in the XKR. 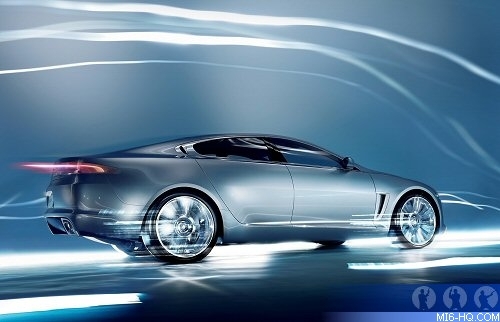 The C-XF concept car signals the onset of a new era for Jaguar. A stunning, four-door sports saloon which blends design purity with unmistakable dynamism, the C-XF is a clear indication of the design direction that the next generations of Jaguar saloons will take. Even though 007's days with Aston Martin may be numbered, the future looks bright for Bond in a British-made luxury car that would make any secret agent proud.